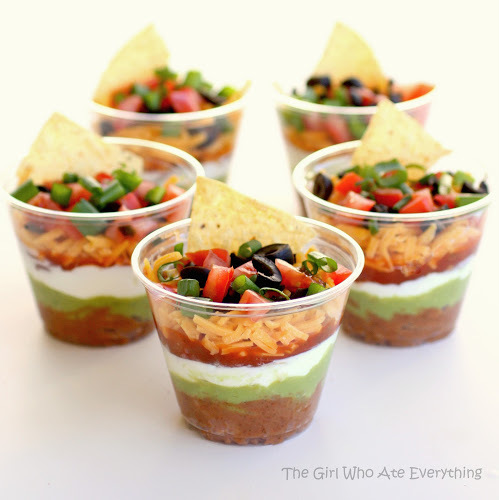 As it seems like we are getting busier and busier, the thought of all the preparations needed for a Super Bowl bash can seem too daunting to even attempt to tackle. 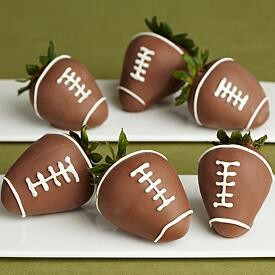 Here are some pretty simple options that may help make the Big Game memorable – without the hassle. How cute is this ‘tablecloth’? 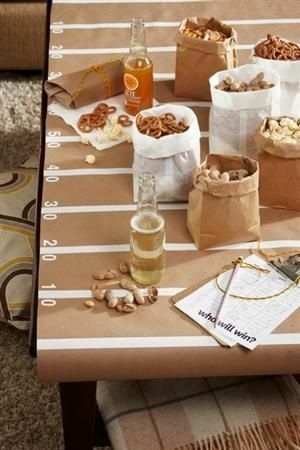 All you need is a roll of craft paper, masking tape to make the 10 yard lines and white number stickers. I think I might add end zones on each end of the table by cutting out letters for the Bronco’s and the Seahawks. 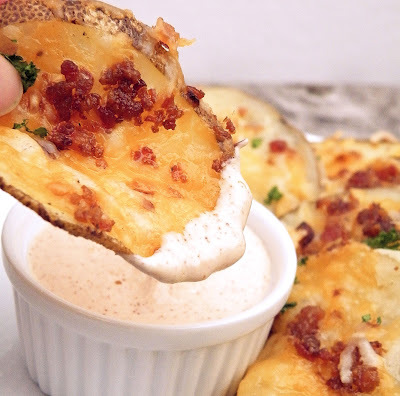 Cheese and bacon – enough said! How many people watch the Super Bowl for the commercials? (Weird, isn’t it? Imagine WANTING to watch commercials….) 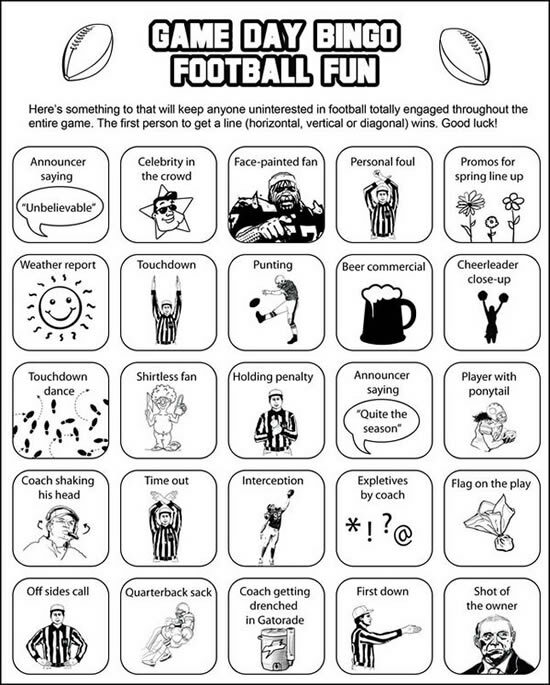 This is a great idea to keep folks interested DURING the actual game – click on the link below to get to the game boards that folks can use to play football bingo. Have a fun little prize for the winner. You could probably play one round for each quarter to really keep your gang on their toes – all it will cost you is a few fun trinkets……. We hope these simple solutions help you pull together a festive gathering in no time – we will be pulling out all these stops in my house on Game Day.